The SS1200C Combination System offers the highest value and performance when compaed to other alarm systems. 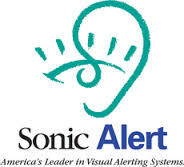 Only the Sonic Alert Base System alerts you in three rooms and is expandable to unlimited rooms with optional receivers. Stay safe in your home with this alerting device.